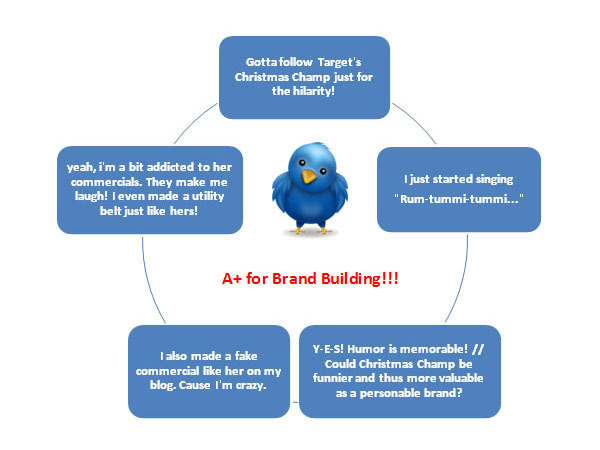 Personal Branding | My "Marketing Nirvana"
Target’s innovative use of Twitter heralds Twitter’s rising star. 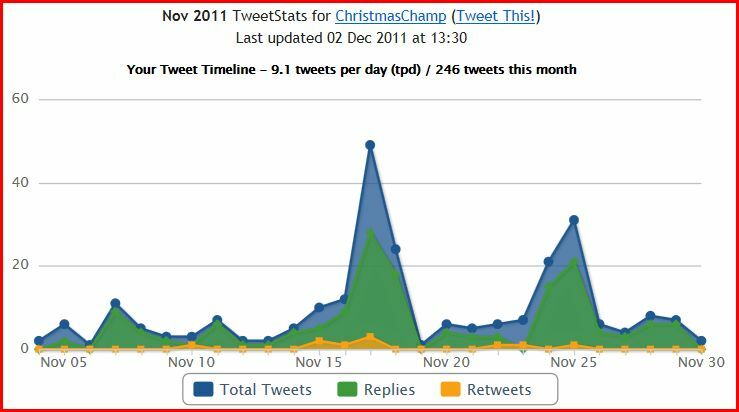 An up-close and humorous look at the Christmas Champ’s personal branding showcasing Target’s Twitter holiday strategy. Who doesn’t chuckle when viewing Target’s Christmas Champ, comedian Maria Bamford, putting her own particularly zany spin of getting ready for the holidays! There’s also an interesting twist this year: the @ChristmasChamp Twitter address has been added to her TV spots. Twitter has indeed arrived; it’s going mainstream! Twitter is popping up everywhere and Target is leading Twitter’s next wave, integration with traditional media. Hooray! I must be channeling my inner Christmas Champ. Before we pay Christmas Champ a visit, let’s get acquainted with rising star Twitter’s backstory. Gone are the days of ‘twitter’ signifying inconsequential bursts; here to stay… direct engagement with the fans and the opportunity to sell, sell, sell. Sure regifting last year’s TV ads is still the rage, but tweeting digital content and conversing with fans is what’s red hot. At this time of year, we’re on a first-name basis with Christmas. So, we’ve got exclusive access to her 2011 virtual holiday album – Digital Portrait of a Christmas Champ. On the cover, we’re introduced to a glimpse of her Twitter home page; over 19,000 followers, wow! As of 11/30/11: 494 Tweets, 2,177 Following, 19,394 Followers, and 92 Listed. 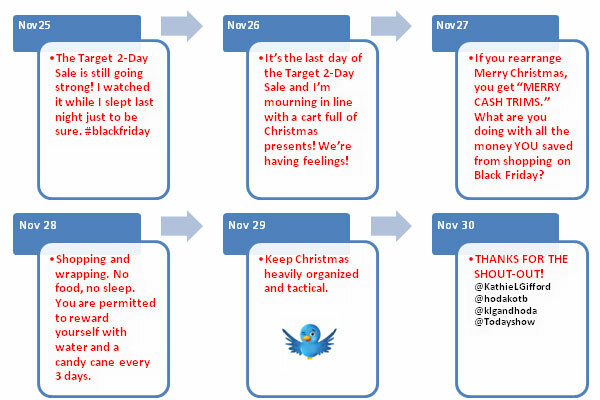 Her first page showcases Target Tweets of a spirited holiday shopper with a take no prisoners’ attitude. — Don’t we aspire to be just like her? Next page, she’s created an homage to TV anchor Hoda Kotb’s shout-out from the November 30th Today Show. Do you think Christmas Champ is on her way to becoming an American retail icon? Page 3, selected fan favorites, a further testament to her personal branding success; never underestimate the power of humor. The last page of her virtual album shows twitter surges coincide with her TV ad broadcasts and the Target 2-Day sale – Twitter has the potential to influence promotions. Twinkle, Twinkle Twitter Star, now we do know what you are. You’re a bright and shiny rising social media star. You have the power to make television social, to build a loyal community, to promote special events, and connect emotionally with your followers. You may follow Vanaja on Twitter at @MyNirvanaTweets.